Essential for any nature trail or urban space, Paris Equipment has the bike rack that is best suited for your needs. This bike rack features a galvanized finish and allows you to secure up to 8 bikes. With its durable construction, it can withstand a long lifetime of use in outdoor settings. The Buddy Bench is a tool designed to educate and eliminate loneliness and promote friendships on the playground. 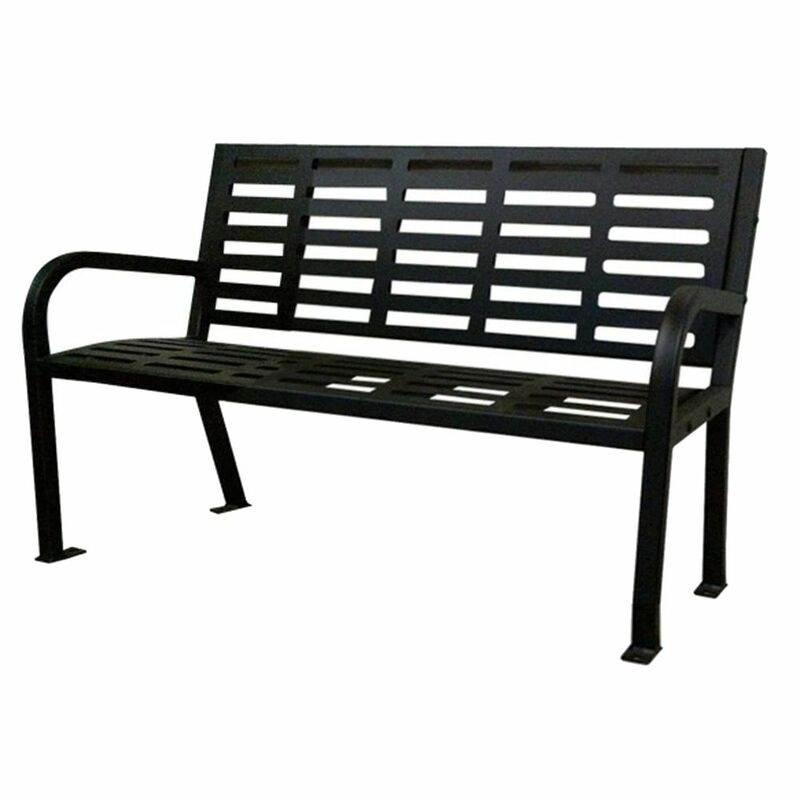 The blue Buddy Bench by Paris Site Furnishings is constructed of heavy-duty steel consisting of 1.5 inch. x 1.5 inch. structural tube ends with 14-Gauge steel seats and backs. The bench ends, seat and back are sandblasted prior to an e-coat surface treatment finished off with a premium powder coat paint finish. The bench comes with pre-drilled footplates that easily mount with the included concrete stud anchors. When properly installed the bench will remain stable and secure, avoiding tipping and theft. The blue Buddy Bench will provide a comfortable and safe environment for children and compliment any playground. 4 ft. Park Bench is rated 5.0 out of 5 by 3. Rated 5 out of 5 by Wayne from Good looking and sturdy.... Good looking and sturdy. Rated 5 out of 5 by IGOSEEPAPPY from SOLID-WONDERFUL ADDITION TO FRONT PORCH The directions were easy to follow. I recommend having a friend help you, not a one person job. The construction of the materials is top notch, a well made bench. I put it on the front porch, for some reason I seem to find more of my neighbors coming over for visits, I am pretty sure it is the bench. Rated 5 out of 5 by Jdad from Stylish and Durable This bench is very well made and sturdy. We put it together in less than 10 minutes. The instructions suggest 2 people but it was useful to have a third when attaching the seat to the two arms because it is very heavy. It even came with bolts to attach it to the pavement.